I met up with Nick for this shot of his sti at Six Star Motorsports. The guys there were super cool and accommodating, but the location was a tad tight due to other builds and projects in the shop. 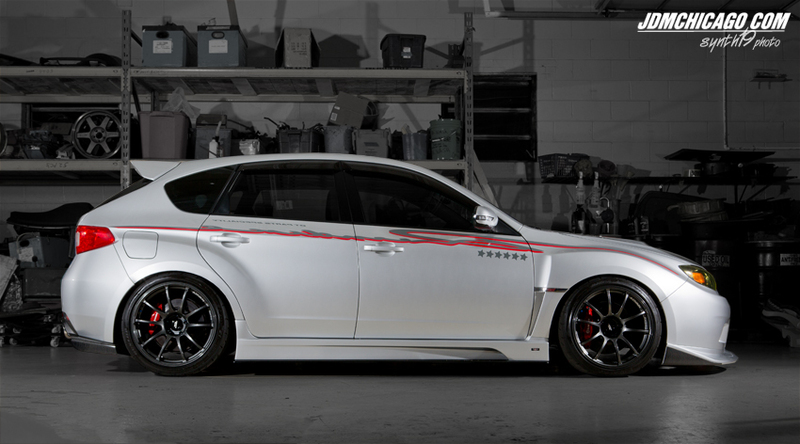 In case you’re wondering, the suby is dressed in a rare Varis x Original Runduce Collaboration Aero Kit. We’ll be featuring his car again in a few weeks, but here is a teaser for now. Click on the image for a high res version.